GLADFELTER has been located safe!!! 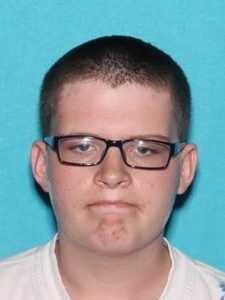 ************************************************************************************************************The Washington County Sheriff’s Office is currently searching for a missing 17 year old autistic male. Lucas Paul GLADFELTER was last seen on December 21, 2017 at approximately 8:30 AM walking along Leitersburg/Smithsburg Road, Smithsburg, in the area of Brook Lane, towards Leitersburg. Gladfelter is a white male, 5’10”, 125 lbs with brown hair. He was last seen wearing a green tee shirt, jeans and a beige jacket. Anyone with information on his location is asked to contact 9-1-1 immediately.